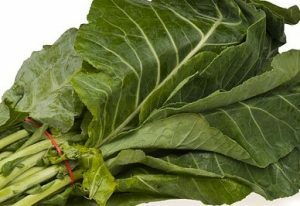 If you ever find yourself in a conversation with anyone who grew up in the South, and the subject of food arises, you are sure to hear the phrase “a mess of greens.” In the South, particularly in the rural areas, the greens are almost certain to be collards or maybe turnip greens. Now, “a mess” is an undefined, unquantified, unspecified amount. But, like a lot of terms in southern vocabulary, it is instantly understood by everyone within earshot. How much is “a mess”? However much it is. If you bring a mess of greens to a friend for their family supper, it’s the amount that would be needed to serve everyone in the household for that one meal. If your family farm has a large garden, a mess of greens is however much needs to be harvested on any specific day while they’re still at their sweet peak; you’ll probably share some of that mess with neighbors, and then it becomes their own mess of greens for tonight’s supper. Get it? If you’re southern, no need to explain, it’s just clear as can be.